Maurizio Sarri’s start to his Premier League career hasn’t been as potent as he would have imagined. Replacing Conte as the manager of Chelsea, Sarri had managed to lead his side to a 12-match unbeaten run in the league before succumbing to the city rivals Tottenham 3-1 away from home. Since then, his team failed to find any sort of rhythm consistently. Four Premier League losses later, one of which included a 6-0 humiliation at the hands of the defending champions Manchester City, doubts started creeping over the Italian’s job at the club. 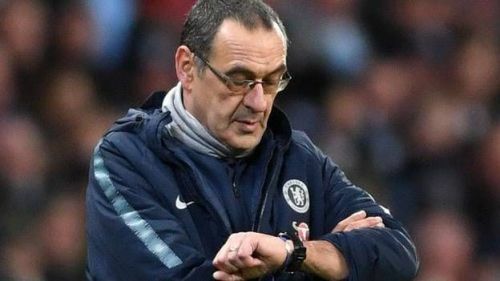 What exactly is going wrong for Sarri? Is it his conventional and predictable lineups? Or is it the fact that the players are just not able to adjust to the new style of play? Let’s look at three changes Sarri needs to make for Chelsea to finish in the top four. Jorginho was the key player for Sarri during his days at Napoli. He was signed by Chelsea upon Sarri’s request once he was appointed as the manager. 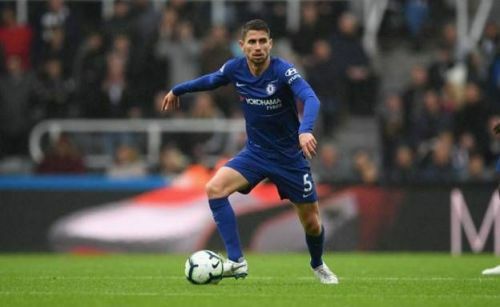 Playing the ‘regista’ role, Jorginho replaced N’ Golo Kanté as the defensive midfielder while the Frenchman was given a new role of going forward. While it all started well for Jorginho, his form has depleted lately. Opponents have found a way to draw him out of the game and exploit Chelsea’s weakness. He is no more the same Napoli Jorginho who used to command the play from the back. Replacing Jorginho by defender David Luiz is one change that needs to be implemented by Chelsea. This also helps Chelsea overcome David’s defensive vulnerabilities. David Luiz is known for his excellent passing and the through balls which makes him a better choice for the deep-lying playmaker role. This also paves the way for the in-form defender Andreas Christensen to make his way into the starting XI.